The easiest way to shop with Rhulsean. Our 24 hr. online service is fast and secure. you can click at the button on the product page and then click at the button in the next page. Our system will calculate what you have ordered. then click submit. Our payment method system will be automatically sent you. EMS Delivery Fee will be charged as product and postal box’s weight. 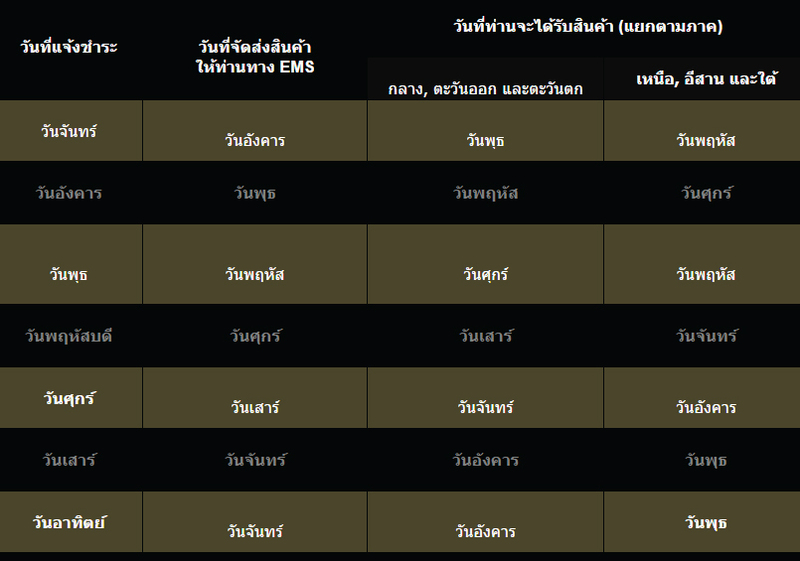 Right now messenger service ‘s available only at Bangkok areas and our service fee will be charged as your area. Please kindly give us receiver’s name, contact number and location ‘s detail for fast delivery. Morning time : please confirm us before 10:00 am. Afternoon time : please confirm us before 2:00 pm.